Our office provides Architectural Services on a variety of projects ranging in size and complexity from advice on do-it-yourself projects to designing small office buildings. 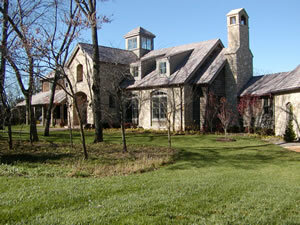 Our focus, however, is on designing custom homes. We talk with you, listening carefully to understand your vision, goals and desires in creating a new environment for you. We apply our knowledge and experience to develop your vision, ideas and goals in order to create a well designed and unique environment that suits your needs and fits within your budget. We specialize in using sustainable design to create environmentaly responsible homes that benefit the health of our clients as well as the health of the environment. Sustainable design, also known as green design, creates human environments that provide efficiency, comfort and convenience while preserving our natural resources for future generations by maximizing the use of renewable resources and minimizing consumption of non-renewable resources. Sustainably designed and constructed buildings are better for the health and well-being of the owners, and the environment in general, than are the more conventionally designed and constructed buildings. Sustainable design is the environmentally responsible choice when it comes to building a home. 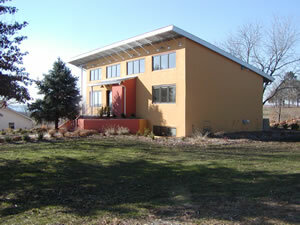 Learn about the sustainable/green materials and techniques available for your home.